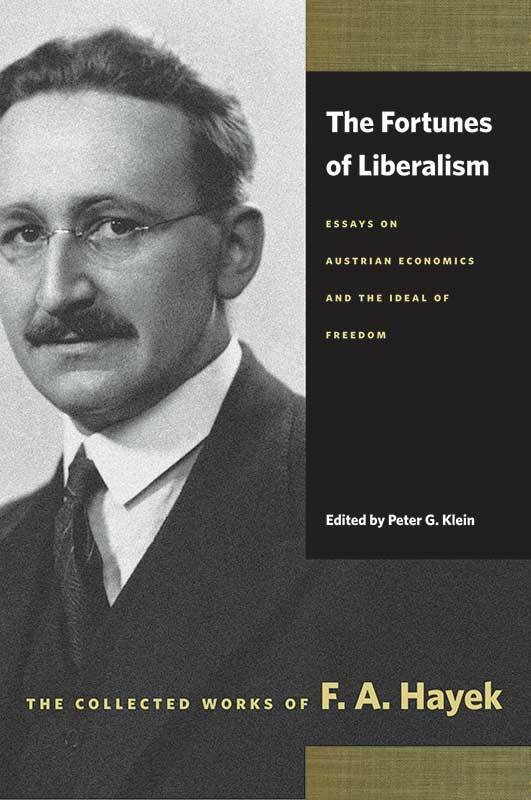 In this collection of essays, some of which appear here in English for the first time, F. A. Hayek traces his intellectual roots to the Austrian school. The Fortunes of Liberalism: Essays on Austrian Economics and the Ideal of Freedom also links the Austrian school to the modern rebirth of classical liberal thought. Peter G. Klein is Associate Professor in the Division of Applied Social Sciences at the University of Missouri and Associate Director of the Contracting and Organizations Research Institute. He is also Adjunct Professor at the Olin School of Business. Editorial foreword by Stephen Kresge, introduction by Peter G. Klein, chronological list of contents, index.